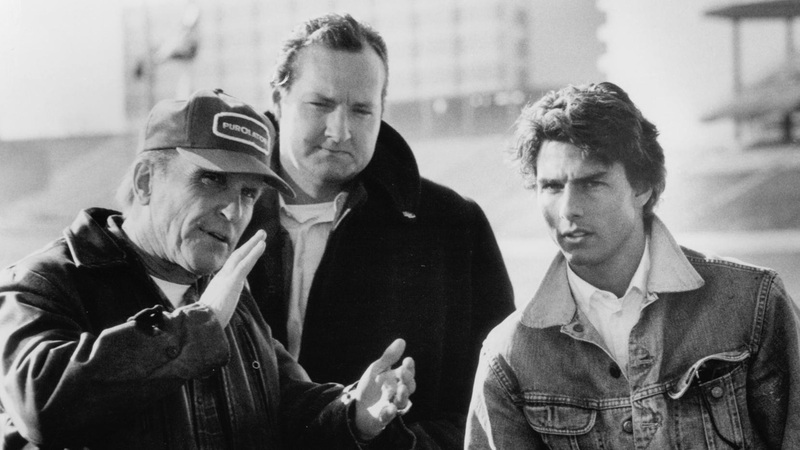 If you’ve ever watched the movie “Days of Thunder,” there’s a part where Cole Trickle (Tom Cruise) looks over at his crew chief, Harry Hogge (Robert Duvall), and says he wants to be a stock car driver. When you race at Indy, he explains, all the cars aren’t the same. If you don’t have a good car, you can’t win. Stock cars — at least it’s his impression — are all the same. And Cole believes he’s the best driver. The same thing holds true for all of motorsports. All the cars are different. Innovation is what changes them. Innovation is critical to our sport. It creates what I would call “comers” and “goers.” Some teams will innovate and be really good for six months, maybe a year, maybe longer. Then everybody catches up. On the one hand, innovation is good for NASCAR because everyone wants to see different winners, especially the fans. On the other, it’s a challenge because too much innovation is hard to police. That leads to the subject of this blog, one of our sport’s most compelling dilemmas. Where does innovation end, and cheating begin? First off, racing isn’t like other sports, so even though the topic of cheating has been in the spotlight a lot recently with things like Tom Brady, cheating — in the world of motorsports — is really kind of its own animal. We have the ability to be way more innovative than other sports do. You have a car, and you can do a lot of things to it. You can come up with new ideas. You can come up with new parts. It’s part of the sport. The NASCAR rulebook, which we refer to as the Black, White and Gray, is really a reflection of that. The black area of the rulebook — what appears in text in black ink — outlines what you can and absolutely cannot do. The white — where it’s blank — is where there aren’t any rules against something. I’ll give you an example of the gray area in action. At the Daytona and Talladega tracks, we run what’s called a “restrictor plate,” a metal plate that restricts the amount of air that the engine can use. According to the rule, there’s a certain size restrictor plate you have to run. The spirit of that rule is to restrict the amount of air that enters the engine. Well in the early 1990s, several teams found a way to leak air past the restrictor plate. In theory, it was against the spirit of the rules. At the same time, they had the proper restrictor plate on the car. The engine generated more horsepower. They were faster. And they ran well at Daytona and Talladega. One of the teams, in fact, won a whole bunch of races. That’s where “spirit of the rules” comes into play, and leaves a whole discretionary area that can really muddle things up. Back in the 1960s, there was this really popular guy named Smokey Yunick. To this day, he’s still considered by many to be the best mechanic ever. He invented a car in 1970s that would get 100 miles to the gallon. He was a genius with vehicles. One year, Smokey created a special car for Daytona. Back then, the rule was that you could only have an 18 or 20-gallon fuel cell. That meant you could only run 40 laps before you’d be out of fuel. Smokey’s car had a really long fuel line that ran all the way through the car — it was coiled up in places — and did a bunch of things. The gist of it was that it added a bunch of fuel capacity to the car, and it wasn’t illegal according to the rulebook. 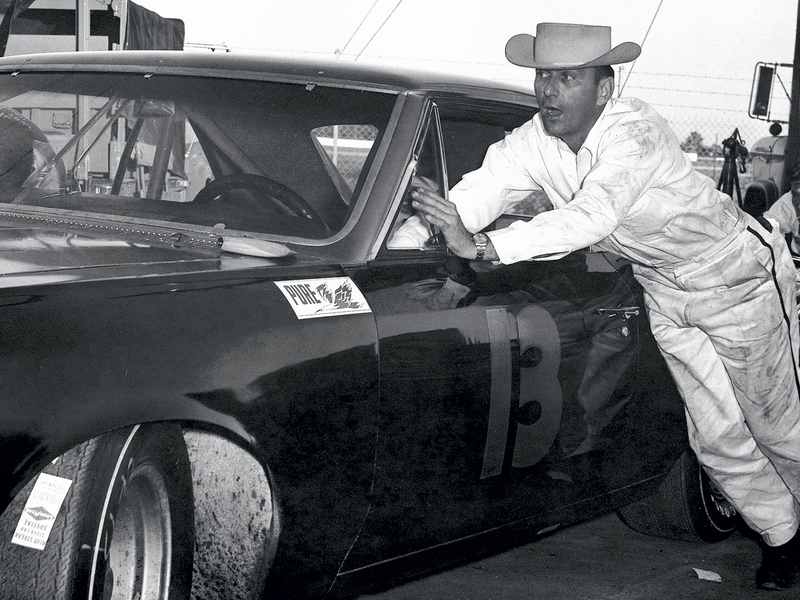 SMOKEY YUNICK, LEGENDARY NASCAR INNOVATOR. Eventually, after repeated violations of the rules, Smokey left NASCAR. In today’s NASCAR, things are a little different. I’ll use a football analogy to explain. Usually, what happens is that you see another team step out of bounds by a few inches. The whistle doesn’t get blown. The next team steps out by six inches. The whistle doesn’t get blown. The next team’s out by nine inches, and the whistle doesn’t get blown. Then the next team’s out by twelve inches. The whistle blows. That team gets penalized. Now, certainly you can make an argument that the team was wrong. He was way out of bounds. But he’s looking at precedent. He’s trying to make a judgment because in his eyes, if he has to step out of bounds — and since everyone else is, maybe he does, too — he’s going to use as much field as possible, right? That, of course, opens a Pandora’s Box. Because success in sports is a pie. There is only a certain amount of success you can have, and everyone wants the biggest piece. So when you’ve already let one person stretch the rules, their piece of the pie gets bigger. Everyone else’s gets smaller. That puts people in a spot where they have to ask themselves: Should they do the same thing? In recent years, NASCAR has worked hard to deal with the gray area, especially when it comes to its penalty program. It used to be that two different teams would get the same penalty, but one would be $100,000 and 20 points, and the next would be $20,000 and 2 points. Everyone got so mad and frustrated that NASCAR realized the system had to be a little clearer. felt pushed into creating a system that was a little bit clearer. So NASCAR switched the penalty program. Now they have a P1 penalty through a P6 penalty. A P1 might be something simple like pulling on a side skirt after the car had been through a technical inspection. A P6 penalty might be if you showed up at the race with an engine that wasn’t legal. Obviously, there are varying levels of penalties in between. When NASCAR comes out with a penalty, the fans are left to make their own conclusion of whether it’s something that constitutes cheating. It’s not good for anyone — NASCAR, teams or the fans — to have drivers who are known as cheaters. It’s wrong, and it’s also bad business. At the same time, NASCAR fans recognize that innovation is an integral part of our sport, so they’re pretty sophisticated and appreciative of teams’ efforts to get an edge on the competition. One of the coolest parts of innovation is that sometimes, it can actually help improve and advance our sport. Back in the early 2000s — probably circa 2001 — a lot of teams ran what was called a “bump stop.” Essentially, a bump stop was this piece that would go on the front suspension. It would allow the suspension to travel to a certain height, where it would then engage, and stop the suspension from traveling. At the time, a number of drivers complained about it because the cars were very violent when they would hit that stop. So NASCAR banned them. Well, in order to get around that rule — because there was some speed in doing that — the teams all went to the springs, and had very specific springs built for the front suspension that essentially did the same thing. But these springs cost $2,000 apiece. Eventually, NASCAR realized that the teams were spending a lot of money just to get to the same place they were when they were using a bump stop. So NASCAR opened up the rule. Years went by, and everybody was just buying this huge inventory of springs. They were literally spending $100,000 to $200,000 in springs to really fit their needs. Eventually, NASCAR realized that the teams were spending a lot of money just to get to the same place they were when they were using a bump stop. So NASCAR opened up the rule. From 2007 on, we could use bump stops at the Sprint Cup level. It’s an excellent example of where some innovation actually improved the sport because it cut costs. 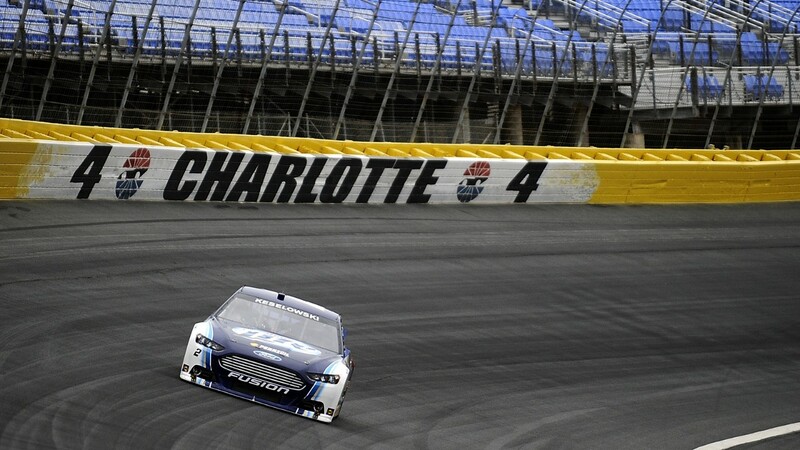 In comparison, an innovation with race car aerodynamics had a significant impact on NASCAR during the 2012 season. This time, though, it didn’t last. WE TEST NOT TO ANSWER QUESTIONS, BUT TO DISCOVER THEM. At the time, we ran a part on our car, a moving suspension. Think of a car like it’s a sailboat. A sailboat using side force — you move the top sail, it catches the wind, and you can get it to turn left or right. That’s not down force. It’s side force. Well, you can affect car in a similar way with what we call skew. If you can apply side force, you can get the car to where it kind of crab walks, which allows it to run better and get more grip. Stock cars are built to run perfectly straight, and the only way you can get them to skew is to turn the suspension. In 2012, NASCAR had a rule on how much skew you were allowed to have in the car. It was calculated with the car at static ride heights. It wasn’t a dynamic rule — that is to say, it wasn’t applied when the car was moving. That summer, a bunch of teams figured out a way to make the dynamic number different than the static number, so that when the car was at speed, being dynamic, it would create more skew. That skew would, in turn, create more side force. That side force would create more speed. And that’s how things played out for the rest of the year. Because innovation is critical to having a top-five, winning car, you need to do everything you can to innovate on a regular basis. Sometimes, that innovation just comes from watching what’s happening around you. You can be inspired by something you see on someone else’s car. There are stories of teams actually buying used parts from other teams just to see what they’re doing, and then copying those parts afterward. One time, I even heard about a team stealing another team’s tires one night, measuring them in every capacity they could measure them, and then returning them that same night. That’s the extent that teams will go to in order to keep finding new ways to win. But the best way to innovate is to test. It’s a kind of common misconception that when we go testing, we go to answer questions. In some ways, we do, but mostly when go test, we go to create the questions. We’re going to learn what we don’t know. Then we can create the questions, and try to resolve them back in our shop. The beautiful thing about testing is that you never know what you’ll uncover, sometimes literally. There was a story about a team testing at Talladega that did an engine change. When you do an engine change, you have to pull the transmission out, and then the rest of the drivetrain in order to get the engine out. So the team was doing that. When they pulled the transmission off, they took off a cover where the gear shifter comes up through the underside of the car. And when they put the cover back, they left it loose on accident. The driver went out and did a run, and he was three-tenths faster after the engine change. The team went nuts. They’re looking through things and going, “Wow. Why was it so much faster? What’s going on?” They looked inside the car, and by chance, someone sees that the shifter cover was off. Then they started to put it together. There was a hole from the underside of the car to the top of the car. It was bleeding a ton of air. There was a pressure differentiation between the inside of the car and the bottom side of the car. What would happen if they looked at ways of equalizing out that pressure? Boom! Now you have a question to answer. Now you have an inspiration, and you use that inspiration to be innovative. That’s how you learn. And that’s why testing is so critical, because it points you in directions of where to go. Clearly, innovation is an integral part of racing. It creates competition. It challenges all of us to be better. When comes to the gray areas, NASCAR has made some really positive improvements in terms of consistently interpreting the rules the same way for everyone. Starting this season, for example, NASCAR began using a committee for approving parts on cars. A single person used to be in charge of that process, and as you might imagine, that created a lot of confusion because different people interpret rules differently. Back in 2010, we had a part that was approved with limitations for how we could use it. Two years later, another team got to use the same part without limitation. So that’s changed. NASCAR also introduced new technologies this year to help insure that cars were meeting specifications. Before races, a laser scanner actually scans every car, and during races, the cameras in pit road keep an eye on infractions. There are fewer officials, which sometimes creates problems with oversight, but all in all, NASCAR is taking steps to make sure that we’re all driving on the same track. I think that’s a good thing. As far as where to draw the line goes, my take is this. If it’s black in the rulebook, it should be illegal. It should be considered cheating, and in my mind, it has to be punished. If it’s not black in the rulebook, it’s innovation, and innovation is what makes the sport great. It’s what keeps it fresh. It’s what keeps it current, with new and breaking storylines, and I think that’s a very healthy thing for all. The question is: What do you think? Let’s continue this conversation on Twitter and Facebook with the #BlackWhiteOrGray.